I am currently working on a Medieval time period fantasy story with all magic is actually human evolution… mutants. The Traveler’s Gift by Andy Andrews. That book had a real impact in my life. Don’t try to write a book, just tell your story. A lot of time new authors worry with making a finished book while writing their first draft, and that will kill your momentum quickly. If you focus on telling your story during NaNo the word count will go by like mile markers on a highway. This question is really situational. Most of the times that I desperately need help I have been blessed with a very supportive family and Church family that is always available for whatever I need. So depending on the situation I have many different people I would turn to. I had always thought of writing as a solitary hobby filled with introverts that shunned personal contact with others. NaNoWriMo really changed that image for me and that suites my personally better. I like to help people and see others succeed. During NaNo 2013 I met writers from Australia, Algeria, UK, Canada, and most of the 50 states. I’ve seen some of those writers publish their stories and have felt like a part of their team. My enjoyment with helping others is one of the reasons I launched www.helpupub.com as a way to help authors find talented service providers to help them turn their manuscripts into books. Helpupub is a directory of service providers. It’s free to be listed, free to browse, free to connect. There are never any fees to use. I also wanted to help people get the most out of NaNoWriMo, so I wrote a book called “How To Write 50,000 Words In 30 Days, and survive to tell your story!” I walk writers through what to expect during NaNoWriMo and how to prepare to overcome the challenge. 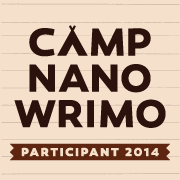 I’m looking forward to NaNoWriMo 2014 and seeing what new challenges I get to overcome this time around. This entry was posted on Thursday, October 16th, 2014 at 7:06 pm and is filed under Wrimos. You can follow any responses to this entry through the RSS 2.0 feed. You can leave a response, or trackback from your own site. 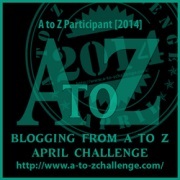 Thank you to Chris for including me in his NaNoWriMo Spotlight. I had a lot of fun answering the questions. He has other writers he will be spotlighting, so make sure you follow his blog and check back to see who else he spotlights. Good advice is to just write a story.